Contact Perry Motors today for information on dozens of vehicles like this 2019 Toyota Tacoma 4WD TRD Sport. This Toyota includes: 50 STATE EMISSIONS ALL WEATHER FLOOR LINER Floor Mats MUDGUARDS (PPO) TRD SPORT PACKAGE Smart Device Integration BED MAT (PPO) DOOR EDGE GUARDS (PPO) *Note - For third party subscriptions or services, please contact the dealer for more information. * This 4WD-equipped vehicle handles any condition on- or off-road with the sure footedness of a mountain goat. 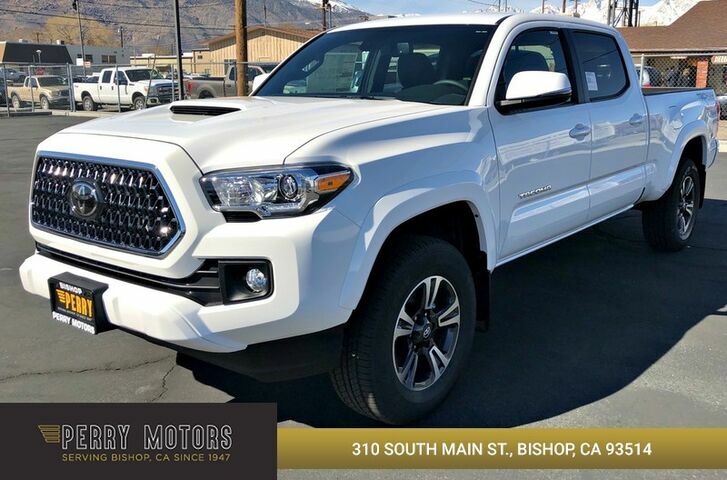 With unequaled traction and stability, you'll drive with confidence in any weather with this Super White 2019 4WD Toyota Tacoma 4WD TRD Sport. You've found the one you've been looking for. Your dream car. The 2019 Toyota exterior is finished in a breathtaking Super White, while being complemented by such a gorgeous FD15/GRAPHITE W/ GUN META interior. This color combination is stunning and absolutely beautiful!